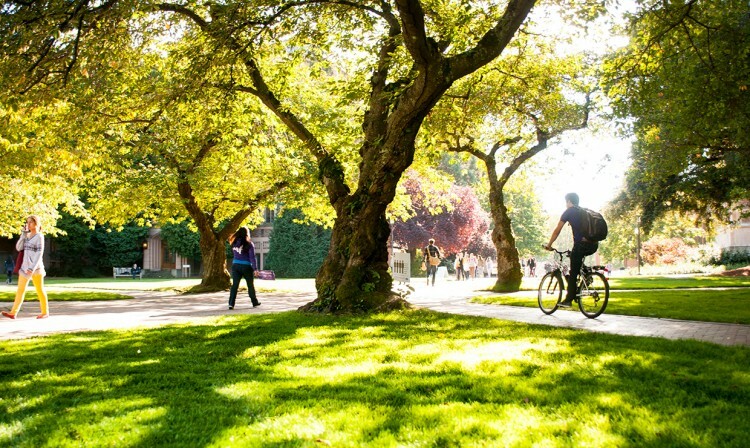 The University of Washington has been recognized as one of the most sustainable higher education institutions in North America, according to the Sustainability Tracking, Assessment and Rating System (STARS). The UW received a gold rating, with a score of 77.18 percent. This is the third time the UW has received a gold rating, and the first time the comprehensive report covered all three UW campuses. The STARS ratings, administered by the Association for the Advancement of Sustainability in Higher Education, are good for three years and are based on self-reported assessments. The UW’s submission included information on sustainability efforts and performance in 93 different credit areas. UW Sustainability coordinated the extensive reporting effort, which involved leaders from more than 30 departments across all three UW campuses in Seattle, Bothell and Tacoma.